We specialize in providing a comprehensive and detailed approach in conducting construction surveys. Decades of experience with small to large construction projects allow us to deliver dependable results. First, we perform a boundary survey of the property and locate any improvements, easements or any other issues that affect the property. This usually includes contour elevations to determine slope and drainage. We always work closely with our clients during the early phases of the survey to assure a smooth and reliable process. 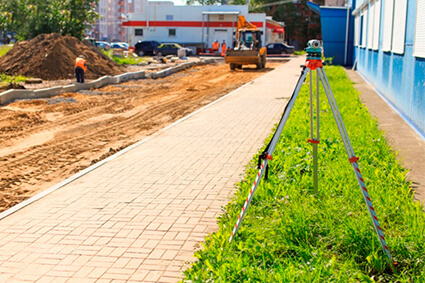 Next, we work closely with the developer and engineer to determine the locations of new utilities, roads, buildings and green spaces that we mark on the ground for the contractors. Lastly, our qualified team surveys all permanent fixtures of the improvements, including but not limited to the building, monuments, fences, and concrete to assure accuracy. Please contact us for any inquiries or a free quote, and we will be glad to work with you on projects throughout Dallas, Fort Worth and elsewhere in North Texas.